Let me just start this post with a quick dose of “Oh wow, I can’t believe this is my life…” The truth is, I’m blown away by the followers I have on my social channels. I’m humbled by the people from across the globe that take tune into what I have to say. 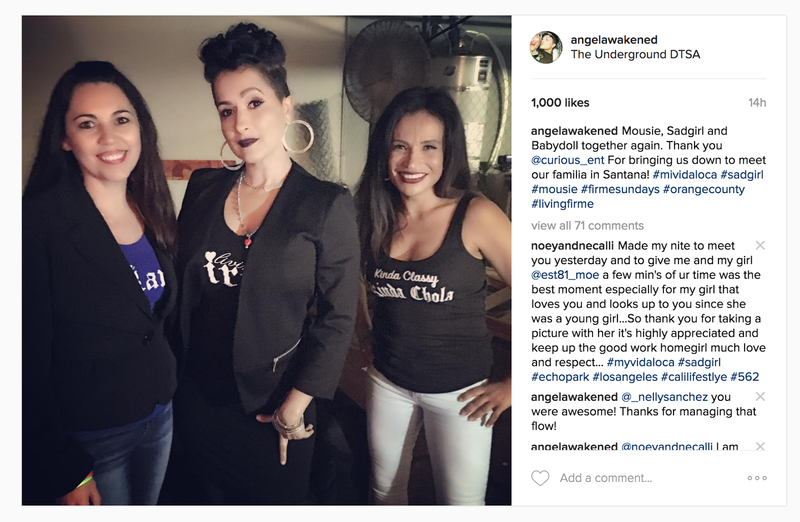 I also think it’s ironic that I am a 47-year-old woman, sharing a photo of myself with friends that I have known longer than many of my Instagram followers have been alive! I post this picture on Instagram with pride. When we made our little film, we had no idea that it would become so loved, so many years later. So what’s the big deal about Instagram likes? Let me just say that I’m not out there to validate my existence on social media. What I am doing is looking for a way to incorporate social media as a way to generate income. An article in Forbes says “Influencers are the new celebrity endorsements. In fact, data from influencer marketing platform MuseFind shows that 92% of consumers trust an influencer more than an advertisement or traditional celebrity endorsement.” This news means that with some smart planning, we have even more potential to turn our passion into a business. It’s pretty interesting to see how companies are using social influencers to increase brand awareness. As I learn more about how to get paid as an influencer, I will certainly share the information. I love to give tips on how to make extra money. I will probably cover my findings on this topic in one of my live videos. I’m tracking my progress manually as well as with a website called Social Blue Book (https://socialbluebook.com/) I like this website because it gives a clear breakdown of what each of my channel’s reach is and approximately how much I should charge for sharing my influence. Are you passionate about something? Have you ever considered yourself an influencer? How do you use your influence? I made this video for my friends that are looking for a way to work from home. I remember really wanting to work from home as much as possible when my kids were young. So, I hope this information blesses you. Here I share Hilton, Amazon and HSN, telecommuting opportunities. People can be shady so please do your due diligence and thoroughly check things out. Do not pay a fee to work from home. Instead, do some research on these and other reputable companies. I recently got a comment on this Facebook post and wanted to share a work from home success story with you. This is from someone that works at U-Haul. I was checking out Well Fargo work from home opportunities and found out that they use a company called Flex Jobs. FlexJobs is an award-winning job service dedicated to helping people find telecommuting, remote, part-time, freelance, and flexible schedule jobs. Our channel has expert job search videos and webinars, and much more. Check them out here: https://www.flexjobs.com I have embedded this video webinar as an example of how they guide you through the process of applying for positions. I make and curate videos on various topics and all videos are geared to empowering and inspiring you to greatness. Please check out my Youtube channel. ★ Videos are uploaded weekly so make sure you check in on what’s new. 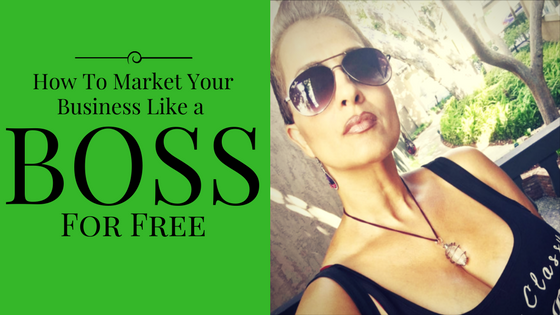 How to Market Your Business Like A BOSS- For FREE! Do you want to learn how to get more customers to your site or store? I point you to some places that will give you the FREE training to do exactly that. Master the fundamentals of marketing on LinkedIn with our on-demand video courses. Get the training and certifications you need to grow your career. HubSpot Academy offers certification, documentation, and training programs to help people understand how HubSpot and Inbound work. 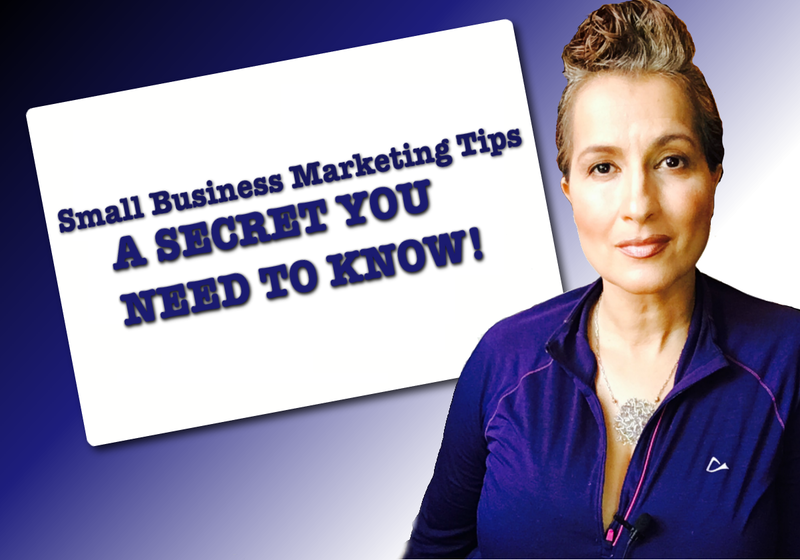 Small Business Marketing Tips: A SECRET you need to know! Thanks for stopping by this page to get a few tips on how to MAKE IT HAPPEN for your business, your family, and your LIFE! BE CONSISTENT- Little steps can take you to the next level, with consistency. BE YOURSELF- You can take notes on what people are covering but DO NOT try to copy anyone else. You are the best you. Even if your content needs work, doesn’t look as awesome (yet) or doesn’t get as much attention (yet), stay true to yourself. You will get better at technology or even be able to hire people that are better at technology if you are consistent and not afraid to be you. BE PATIENT- I ate a salad today. I will not throw my scale out the window tomorrow because I did not lose 50 pounds. VERY FEW people are overnight sensations. Set your goals and know that smart work will get you where you want to go. Shout out to Thomas In Action and the cool videos he took the time to make that explain the repurposing technique. Check them out HERE. I hope this post blesses you with some knowledge and that you can apply it to making your business flourish. Thanks for visiting!! This post is for all of you out there that are on the journey to financial freedom. I believe ANYTHING is possible and if you are willing to HUSTLE, there is no reason you cannot achieve your business goals. I have worked in marketing for a long time and I can tell you this, there is ALWAYS something new to learn and always a way to do things that you may not have previously thought of. My passion is inspiring as many people as I can to achieve THEIR goals. I want to share with you, all the things that I am learning. In this video, I touch on how I plan to increase traffic to my blog and how I plan to grow my social channels. 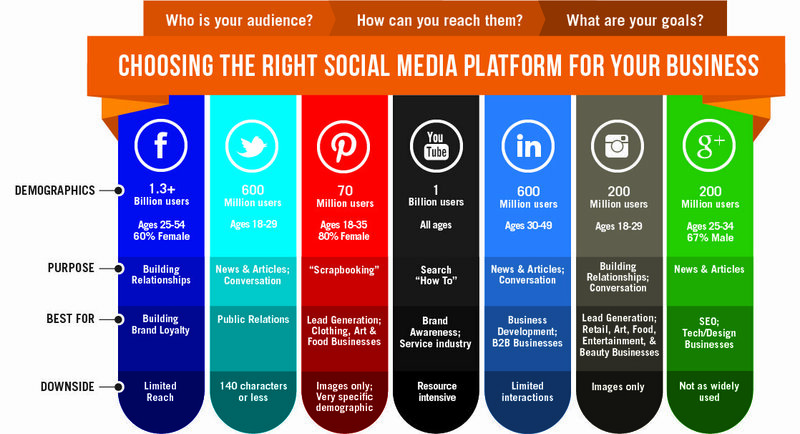 The Social Media Posting Breakdown. Although I don’t see her posting much anymore, here is the link to the original post on the LoudMouth Lifestyle Blog that I mention in the video. The chart below lists my current social numbers on the left and my goals on the right. I found that this graphic from Abdul Malick is very simple and it provides a helpful preliminary way to determine how to spend your valuable time and why. 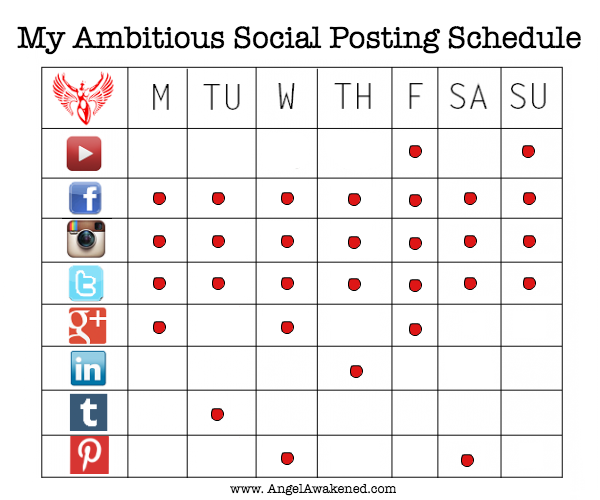 Here is my very ambitious posting schedule. Mind you, I have a lofty (yet believable) goal for myself AND I am a professional. If you are not a pro marketer, think about the networks that are going to give you the best return on the time you invest.